sites orlistat 120 mg information Well, do you? If not, then you are missing out! 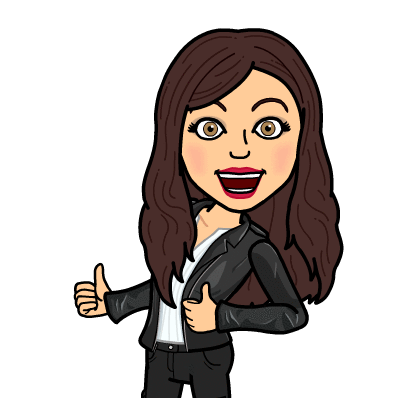 Our Woodbury crew had many takeaways from this weekend’s Google Summit with the EdTEchTeam and one I would like to highlight is the Bitmoji Comic Strips. Why highlight this one out of the many high-level sessions we attended? Because it is the most fun to play around with, that’s why! This weekend I learned how to make some incredible Google Slide presentations and worked my way through the Design Process in a powerful collaborative group setting, but tonight, we play with Bitmojis. Bitmojis have become increasingly popular and many of the texting/Google Hangout conversations I have with my own children and colleagues consist of only Bitmojis. There are so many to choose from, there really is a Bitmoji to express almost any thought. Have you ever considered how the Bitmoji could model your school culture for your stakeholders? Bitmojis are fun and visually appealing. These personalized cartoons immediately engage an audience and I’ve never seen a Bitmoji that doesn’t make someone smile. How can you not smile (or laugh out loud) at these cartoon avatars. They are spunky, fun, and often quite sassy. I don’t know about your school, but our site is all about having fun. We work with kids, so why wouldn’t we have fun doing the job we love?! We want our students to have fun learning and we want them to love school. We work hard at connecting with our students in a fun and engaging way and we intentionally make all our social media show this fun (and often silly) culture. Enter, the Bitmoji. School Website: post the teacher’s photo on our staff page and when the photo is clicked or the mouse hovers over the photo, the teacher’s Bitmoji is revealed. How fun would that be!? Not only will the teacher’s cool factor be greatly increased, each of our teachers’ Bitmojis will show their fun side and make them look very tech savvy. School Map: Let’s make it interactive! Click on your child’s classroom to see their teacher’s Bitmoji saying “Hello!” Google Maps Possibly? Parent Communication: A teacher’s online presences, as well as printed papers, could sport their Bitmoji to add a little fun and pizazz to the sometimes bland or somewhat boring information. As a parent, I would be more inclined to look at the paper with the spunky Bitmoji on the top. Building a positive school culture takes commitment, consistency, and teamwork…and adding a little Bitmoji may just add that extra fun you were looking for. Next time you are looking to represent your school culture, just remember, there’s a Bitmoji for that! How will you use Bitmojis to add to your school’s positive culture? Thanks for your comments! As you can tell, I LOVE Bitmojis. As you mentioned, it is a great way to post things without revealing identities. Plus, they are oh so fun!